6101 heading the 2.35pm local service to Newbury. 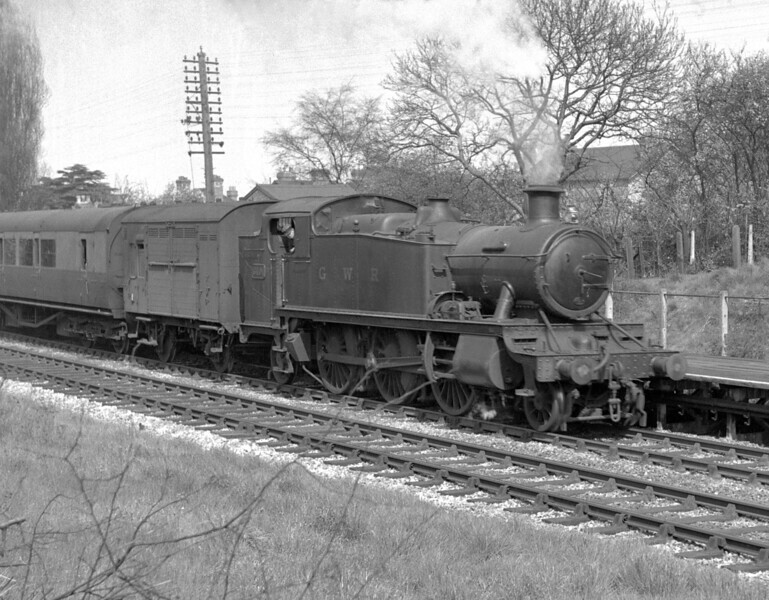 Photographed at Reading West Station on 24 April 1951. The photograph was taken on an Ensign 16/20 using half frame. In consequence a certain amount of "grain" is in evidence.